Julian Assange, WikiLeaks’ co-founder, was yesterday arrested at the Ecuadorian Embassy in London where he has been staying for 7 years. WikiLeaks is a non-profit organization that leaks sensitive information regarding governments, corporations, etc with dossiers originating from anonymous sources. In the course of his business, Assange has stepped on governments and corporations toes for revealing secrets that were meant to be forever buried. For example, in 2010, WikiLeaks rubbed on the United States government the wrong way when the platform published shocking truths of how the U.S was fighting terrorism in the Middle East, specifically in Iraq. The information leak was traced back to Chelsea Manning, who was later incarcerated for espionage. The information included a video showing U.S soldiers firing at unarmed individuals resulting in the death of two children. Since then, the U.S has labeled WikiLeaks a criminal group and has been hunting down its leader. Assange found himself in the United Kingdom where he was granted asylum by Ecuador. He has been living in the Ecuadorian Embassy for 7 years now. While “Bitcoin” and Julian Assange may seem like very distant cousins, they are very close “brothers”. Actually, if Assange is jailed, the crypto community will have lost a huge supporter. Unknown to many, Assange got involved with cryptocurrencies long before even Satoshi Nakamoto created Bitcoin. In 1995, Assange got involved with Tim May, a respected member of the Cypherpunk movement and who in 1992 released the “Crypto Anarchist Manifesto.” His involvement with the Cypherpunk movement brought out Assange’s bad taste for centralized authorities. A series of comments in the movement showed that the WikiLeaks co-founder had ignited a discussion around digital cash. It appeared as if Assange was looking for a way to decentralized payments by hinging away from government control. Consequently and about two decades later, in 2012, Assange published “Cypherpunks: Freedom and the Future of the Internet.” The book focused on ways authorities would use the internet to patronize the population. On Twitter and Reddit, a campaign to help Assange is building momentum. Although some individuals are still bitter on how Bitcoin and Julian Assange got started, one thing stands out; Assange is a freedom fighter. WikiLeaks has since placed a request for Bitcoin and Zcash donations. An analysis of the Bitcoin address provided indicates that bitcoiners are responding. More than 40 donations out of 160 that WikiLeaks has ever received, were made after Assange was arrested on April 11. 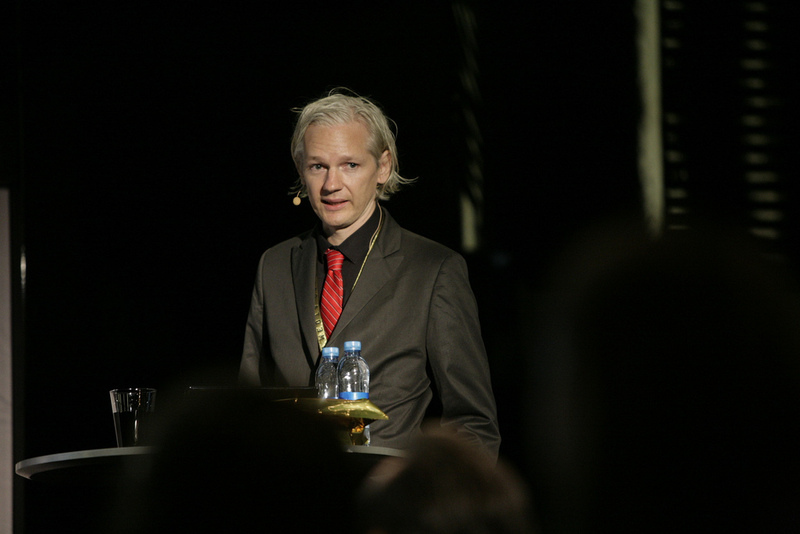 The interaction between Bitcoin and Julian Assange depicts Assange as an important person for revealing the truth in both worlds; traditional and crypto-focused financial sectors. Next PostHow Much Pollution Does Bitcoin Mining Really Produce?